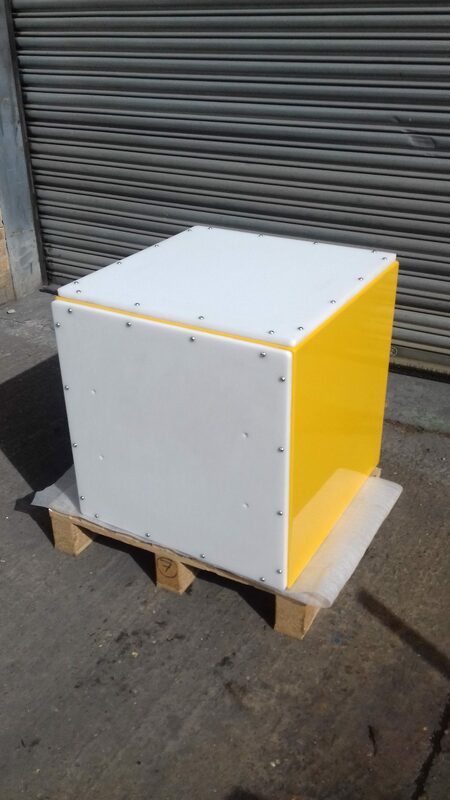 The 24V Cube has been manufactured for a client operating as a mechanical engineering contractor to the petro-chemical and manufacturing industries. The solution was fabricated from the customers drawing. The 24V Cube solution has been manufactured from 3mm mild steel laser cut sheet for the main structure. The solution is made in two parts to allow access into the cube for cabling. The design features 2 off 15mm Acetal Plates positioned on the top and front faces. These are each secured in place with 16 off M6 fixings. The solution has been powder coated in Yellow BS 08 E 51 to provide a hard wearing long lasting finish.